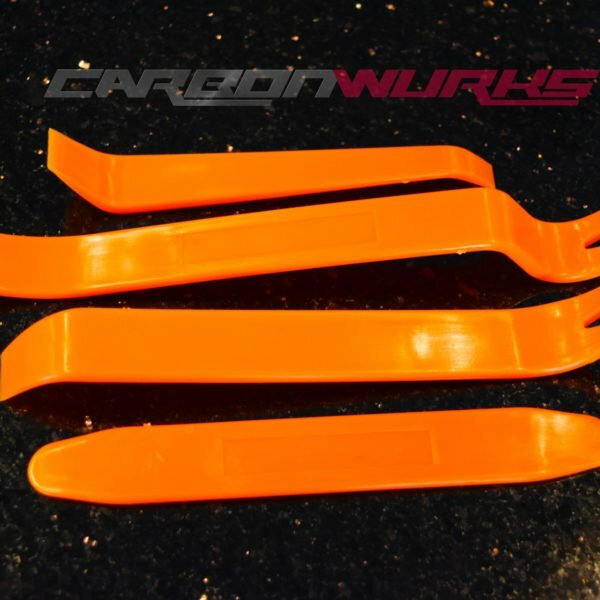 Carbonwurks have eradicate the stone chip problem on the lower doors and arches with a simple, cost effective add on part that stops the vast majority of any stones or debris being flicked up the side of the car and damaging the paintwork. 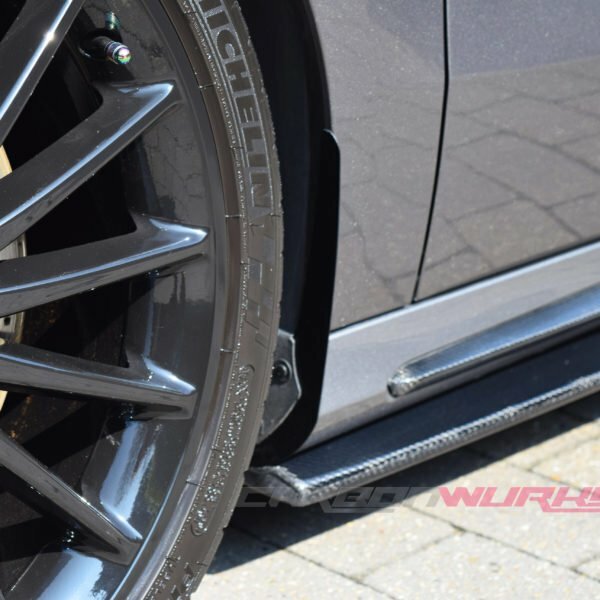 The Arch Guard is made from very high quality aluminium that is laser cut to shape. 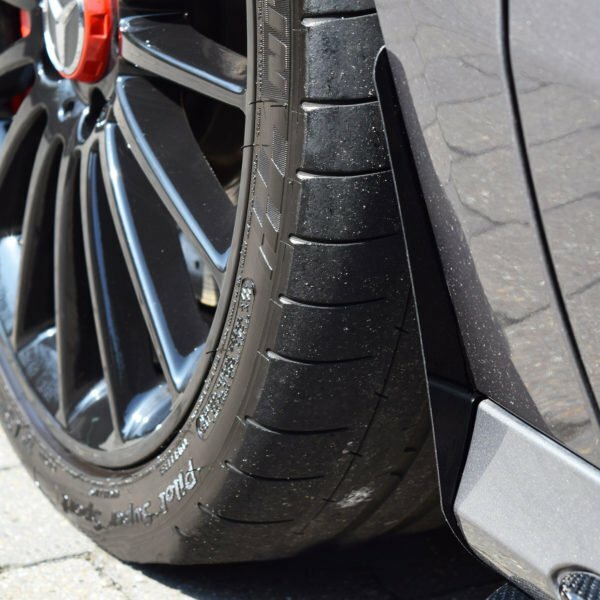 Once inspected, the guards are then Hard Anodised to give a nice subtle look to the car but also giving the guards a very hardwearing finish to withstand the punishment from the road. 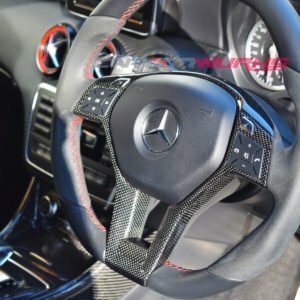 The body Styling of the Mercedes A/B and CLA class is bold with some great lines to the bodywork. 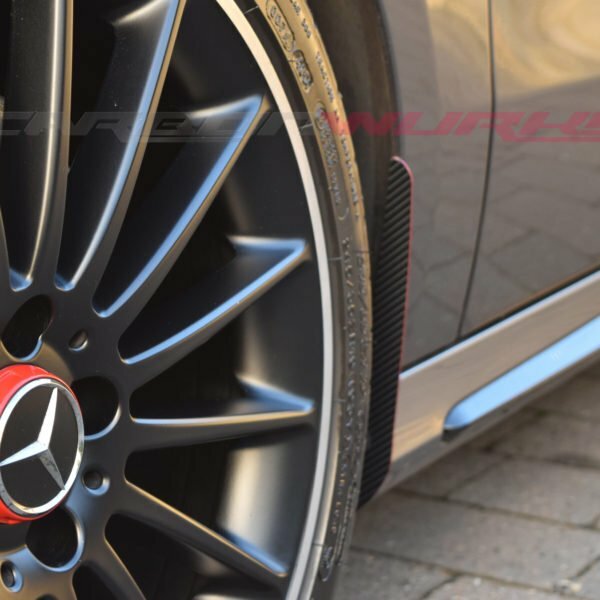 However good the design from Mercedes is, they have forgotten some very important factors and that is stones and debris being flicked up off the ground from the tyre! This is a well know problem with these cars that over time many chips form on the lower doors, arch’s and side-skirts leaving a horrible pebble dashed look. 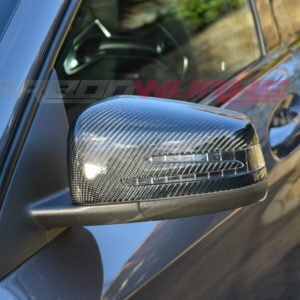 Carbonwurks decided to eradicate this problem with a simple, cost effective add on part that stops the vast majority of any stones or debris being flicked up the side of the car and damaging the paintwork. 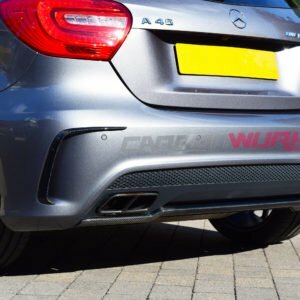 The Arch Guard is made from very high quality aluminium that is laser cut to shape. Once inspected, the guards are then Hard Anodised to give a nice subtle look to the car but also giving the guards a very hard wearing finish to withstand the punishment from the road. 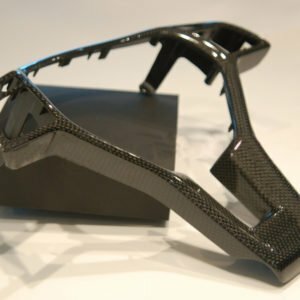 We now offer Arch Guards in 100% pure carbon fibre too! 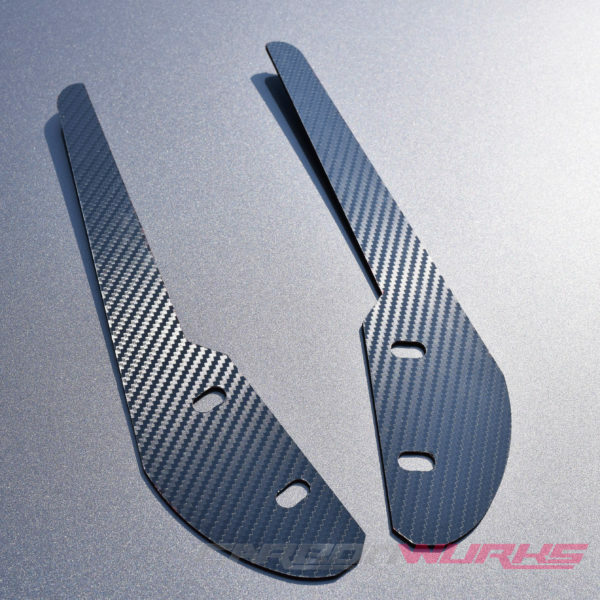 We start off with a slab of compressed 100% carbon fibre and CNC machine out our guards. The carbon is a 2×2 twill which is the most popular type of carbon used at the moment. These are incredibly light, super strong and more than anything they look fantastic! 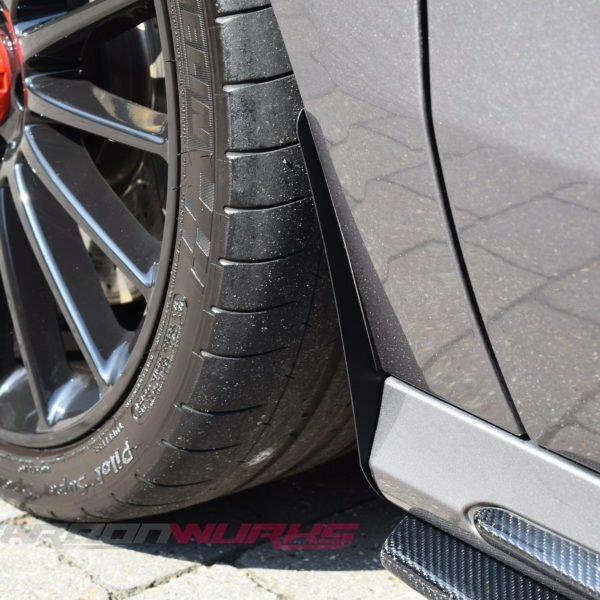 Fitment is incredibly easy and can be done in less than 5 minutes per side. 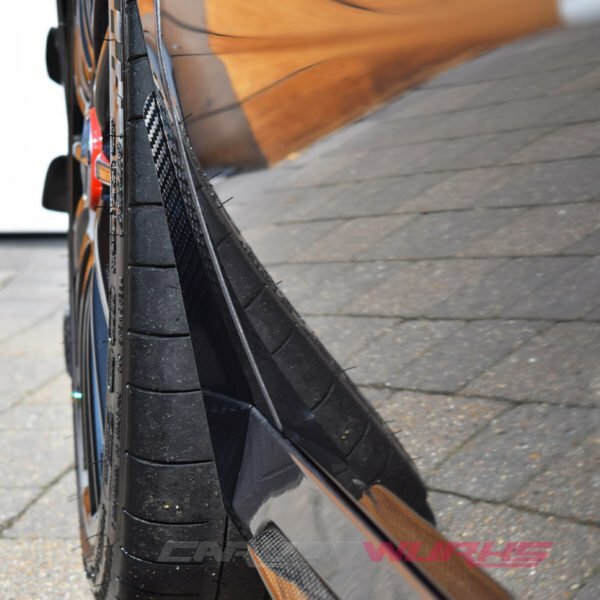 The guards use the original OEM mushroom clips to secure themselves to the inner arch and also supplied pre-installed is a high bond double sided tape to prevent any metal on metal rubbing and to give a very secure fit. The guards however are still completely removable. If you don’t have trim tools to remove the mushroom clips, select this option in the drop down box to receive 4 trim tools in your order. 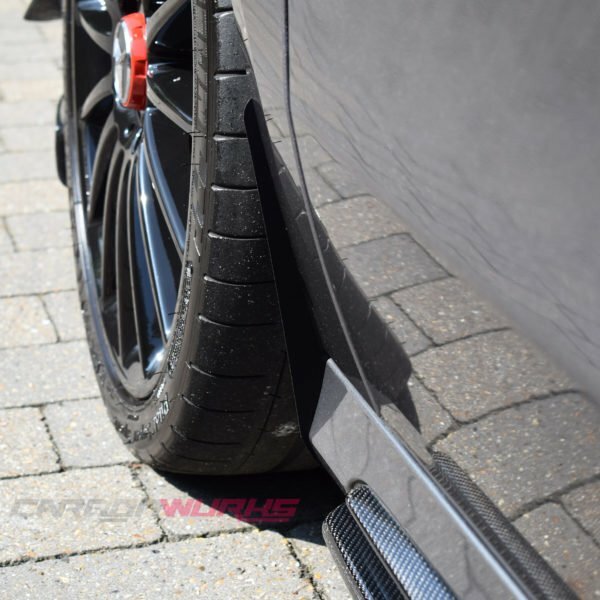 Satin Black – These guards are Hard Anodised a stealthy Satin Black. Edition 1 – These guards are a little unique! 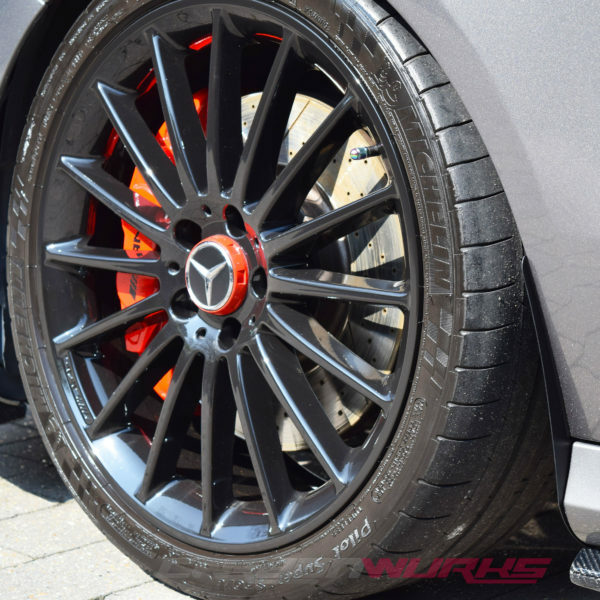 They are Hard anodised but in Edition 1 red to match the AMG Edition 1 packages offered from Mercedes. Once Hard Anodised they are wrapped in Carbon Fibre Vinyl but still showing the outer edge in red to give a striking and eye catching contrast. 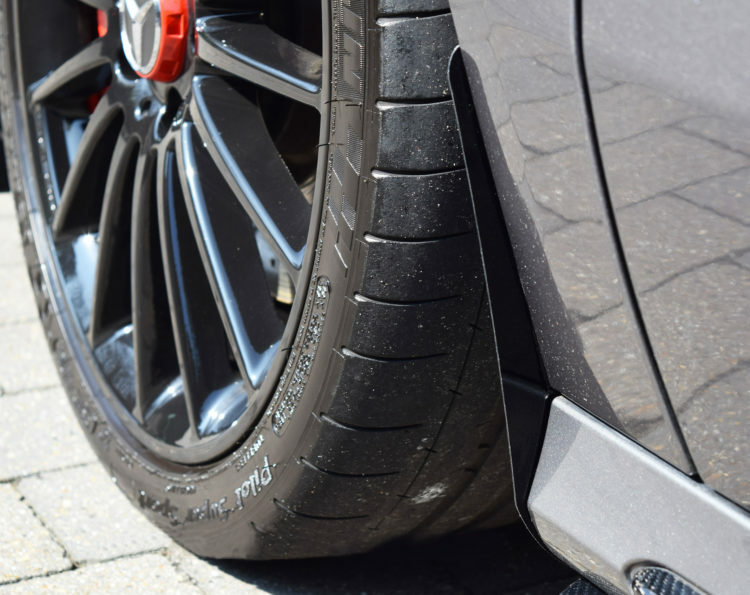 Gloss Black – These guards are hard anodised satin black with a gloss black vinyl wrap laid over the top. 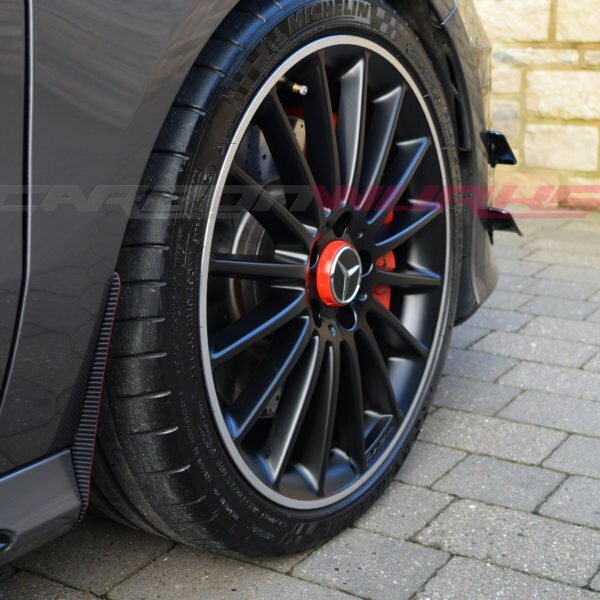 Our latest additional that works really well with the other gloss black pieces on a lot of A/CLA’s. 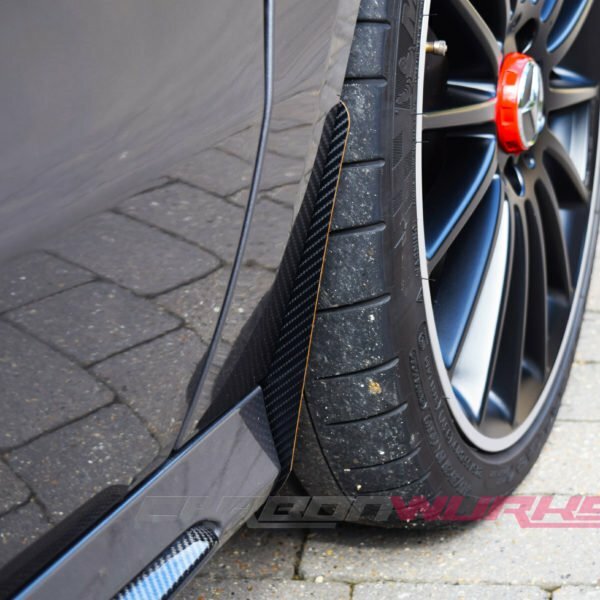 Gloss Carbon Fibre – These guards are 100% pure carbon fibre guards in a gloss finish. 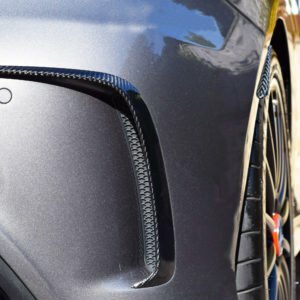 Matte Carbon fibre – These guards are 100% pure carbon fibre guards but finished in a stealth Matte. 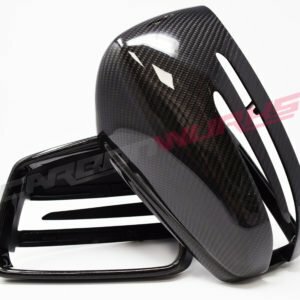 2 x Arch Guards (set for front aches) in either Satin black, Carbon Fibre (Gloss or Matte), Edition 1 or Gloss Black.